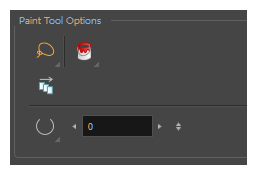 When you select the Paint tool, its properties and options appears in the Tools Properties view. NOTETo learn how to use the Paint tool, see Painting Drawings. Sets the selection mode to Lasso, which allows you to select multiple items by drawing a lasso around them. TIPWhen this option is enabled, you can press and hold the Alt key to temporarily use Marquee mode. 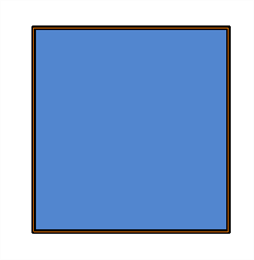 Sets the selection mode to Marquee, which allows you to select multiple items by drawing a rectangle around them. TIPWhen this option is enabled, you can press and hold the Alt key to temporarily use Lasso mode. The Paint mode paints everything it touches, including empty and filled zones. The Paint Unpainted mode paints only empty zones. Any line or filled zone will remain unchanged. The Unpaint mode unpaints everything it touches, including empty and filled zones. The Apply to Multiple Drawings option is used for fast painting in hand-drawn animation. 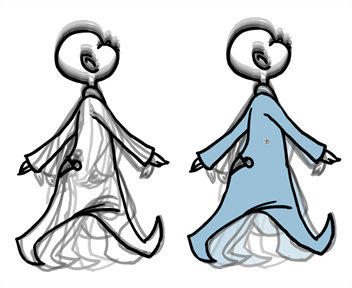 When you want to paint several drawings in a same layer at once, such as a walk cycle, you can enable this option and make a selection in the Camera or Drawing view. All the closed zones located within your Paint tool selection are painted with the selected colour swatch. You do not need to enable the Onion Skin preview to use this option. The option will stay enabled only for the next action. If you want to use it again, you must click on the Apply to Multiple Drawings button again, or press Alt + A. In the Paint tool properties, this option keeps a selection highlighted around the latest painted zone after using the Paint, Unpaint, or Paint Unpainted tool. The Close Gap option has four modes available. When the option is enabled, Harmony will consume more resources while painting. No Close Gap: The moment a zone has a gap in it, the Paint tool will not fill the area. Close Small Gap: If a zone has a small gap in it, the Paint tool will fill the area. You can zoom out to make the gap appear smaller and the Paint tool will paint. Close Medium Gap: If a zone has a medium gap in it, the Paint tool will fill the area. You can zoom out to make the gap appear smaller and the Paint tool will paint. 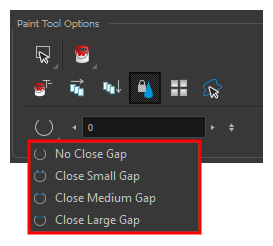 Close Large Gap: If a zone has a large gap in it, the Paint tool will fill the area. You can zoom out to make the gap appear smaller and the Paint tool will paint.